Used Truck Reviews: Scania 113 "Little Abba"
Used Truck Review: Scania 113 "Little Abba"
When you’ve spent nearly two decades together, and travelled millions of kilometres enjoying each other’s company, it’s inevitable that a strong attachment develops between a couple. 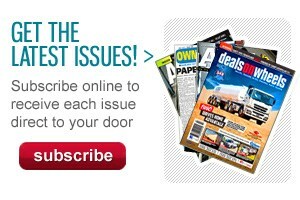 "We’re a pair – we’ve become a partnership," says owner-driver Peter Royter. "I just love her." No, Peter isn’t talking about his lovely wife Sandy, who he also has a lot of affection for. He’s referring to his Scandinavian ‘Little ABBA’, a 1989 Scania 113 which recently clocked up an incredible 5 million interstate kilometres. "I think sometimes that truck gets more love than we do," Sandy Royter says. "It’s human to him; he would lay down his life for it. It’s the highlight of his life, and she loves the attention she gets. "But as much as she gets under my skin – we’re paying the big bills – I think we’re probably financially better off with that truck than getting a big new one, because we’ve never wanted to encumber any of our property". It’s no wonder Peter loves ‘Little ABBA’. 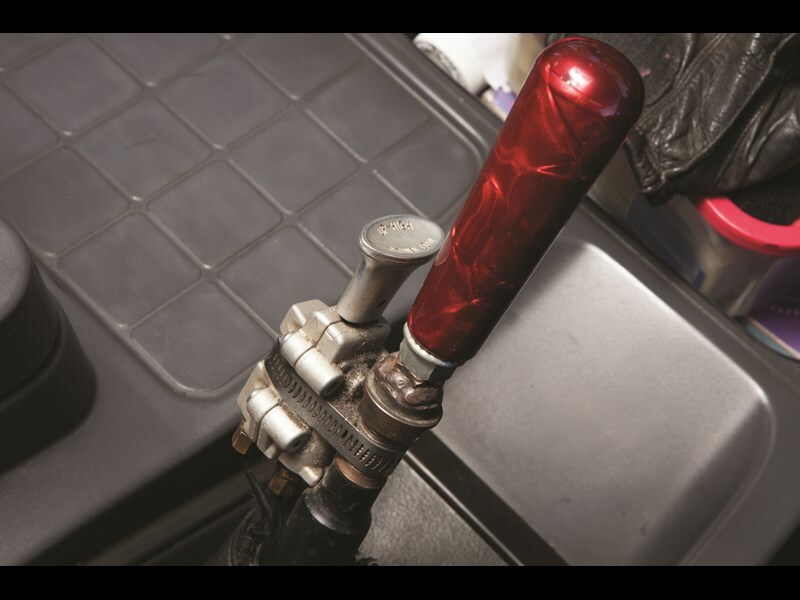 In the past five years the 64-year-old interstater from New South Wales’ Central Coast hasn’t put a spanner near the truck, except recently when he had the diff reconditioned after it started leaking some oil. 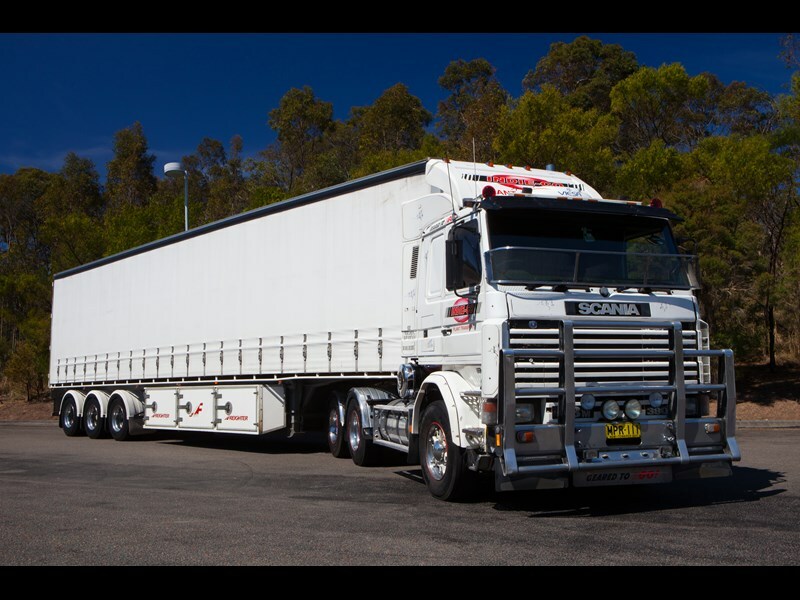 The rig’s had regular servicing and maintenance done at K & J Trucks, the Scania dealership in Coffs Harbour. "To me, a dollar invested in your vehicle will pay you back two bucks," Peter says. "It runs like a new truck." It’s not as though the little 360-horsepower Scania has been wrapped in cotton wool. Most nights of the week it’s grossing 40 tonnes out there with the big boys on interstate work, and according to Peter, matching the big bangers. "On undulating country it goes as fast as a 600-horsepower truck." Peter says he "loves" American trucks, and he’s driven plenty of them in a 45-year career, but admits he’s a "Scania freak". He’s owned two V8 Scanias previously, but rates the 113 engine more highly (the ‘11’ stands for 11-litre, and the ‘3’ is the series number). "Scania makes the best diesel engine in the world, bar none, and that’s the best model diesel engine Scania has ever made," he boasts. "It’s a gutsy little thing, and it goes like a bullet." 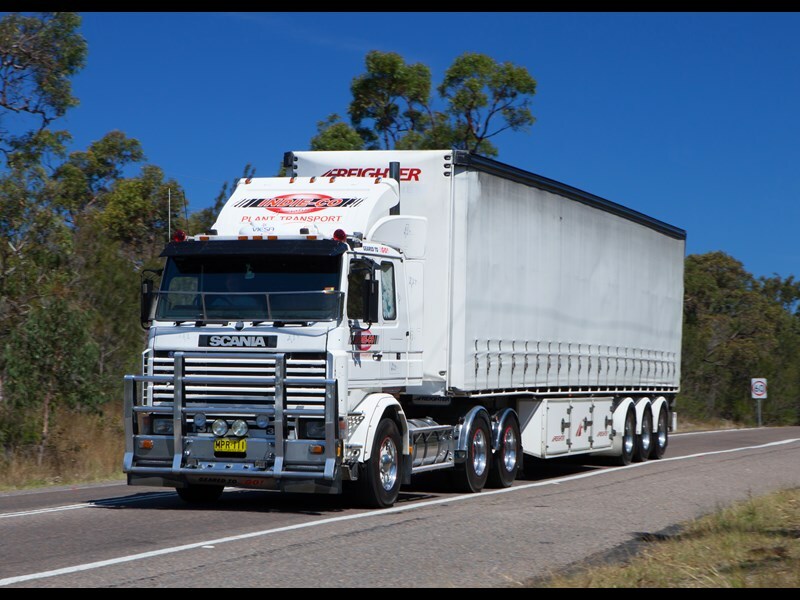 Peter – or ‘Wheels’ as he is known – took Owner//Driver for a bobtail spin, and ‘Little ABBA’ is certainly a comfortable and quiet unit to ride in. The sleeper is small, but so is Peter. The smell of the cab is straight from the ’80s, everything maintained with original materials. Peter even forked out $175 recently to have a rubber parking brake boot flown out from Sweden. As for the service brakes, three years ago the pads on the drive wheels were replaced – after an amazing 1.4 million kilometres. No doubt Peter’s very smooth driving style helped considerably. The single-drive with a lazy axle is very good on fuel, despite having no computer. "This is my computer," says Peter, pointing to his accelerator leg. 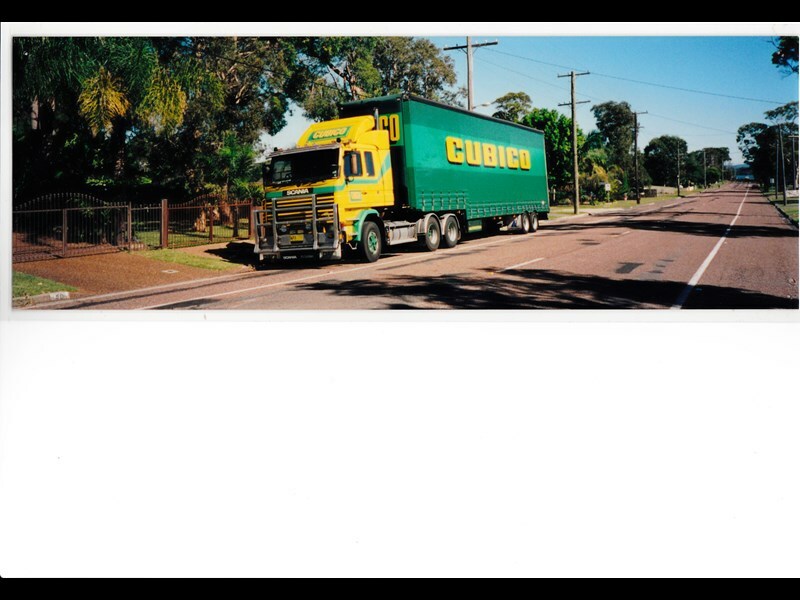 Peter bought the Scania 18 years ago when it only had 700,000 kilometres on the clock. It was a run-down wreck. He only bought it because it was pulling a Cubico trailer with guaranteed work. The way Peter describes things, the truck was like a mournful-looking dog at the pound, but with the potential to be transformed after some TLC. "It was a real mongrel," Sandy says. The Royters paid $50,000 for the run-down rig. Since then, they estimate they’ve spent another $150,000, including on major items such as a new engine, reconditioned diff and a custom-made swaybar with added shockies. When the 10-speed Scania synchro gearbox needed doing up a decade ago, Peter had a 15-speed Roadranger put in. "The Scania box was suited to the old 90km/h speed limit, but at 100 it was over-revving a bit," says Peter, adding that now in top gear, "it’s cracking". He doesn’t regret a cent he’s spent, saying the old Swede has paid for itself "100 times over. That truck has worked its guts out." The Royters say that financially they have done well. "The accountant’s very happy with our figures," says Sandy, who does the books. They’ve had long-term regular contracted work with Linfox – most recently carting MasterFoods products from the NSW Central Coast to Brisbane – and for many years have transported plants from Brisbane to nurseries in Sydney and Melbourne. The latter has been on strict ‘cash on delivery’ terms. They are increasingly being undercut on rates and terms for the plant transport, but Peter would rather return from Brisbane empty and work longer hours than compromise on a policy which has kept the couple in the black for 30 years. The Royters have had a great accident-free run with their prime mover and trailers, but have suffered some personal tragedies. Their son Matthew died from an asthma attack when he was 18. A budding DJ, Matthew’s call-sign ‘Indie Guitar Swing’ is painted on the back of Peter’s 2005 Freighter tautliner trailer, custom-built for plant carriage including insulation and belly-boxes. The company name – Indie Roadlines – is another tribute to their son. In the mid ’80s Peter spent more than three months in a Brisbane hospital after being hit by a speeding, lights-off car as he was crossing the road one night to get into his truck. He didn’t work for six years. ‘Wheels’ had no shortage of hospital visitors on Monday nights though, when truckie mates were waiting for backloads out of Brisbane. He claims on one occasion 34 truckies helped him get rid of a backlog of beer in his hospital room. The lights were out but they still got busted by the matron. "A lot of my mates have moved on – they’re blokes of age," Peter says. "But I’ve picked up all these new truckie mates between 35 and 45 years old, and they’re very polite and decent fellas. They’re just lovely blokes. "Everybody knows the truck and they equate the truck to me." 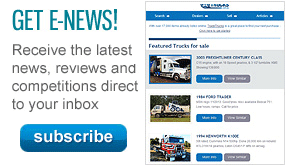 Click here to find a Scania 113 truck for sale.